Do you have a collection of Rubbermaid or Gladware containers? If you are like me, you have more lids than containers. My containers never last as long as the lids. I hate to throw away the lids in case I need one some day. 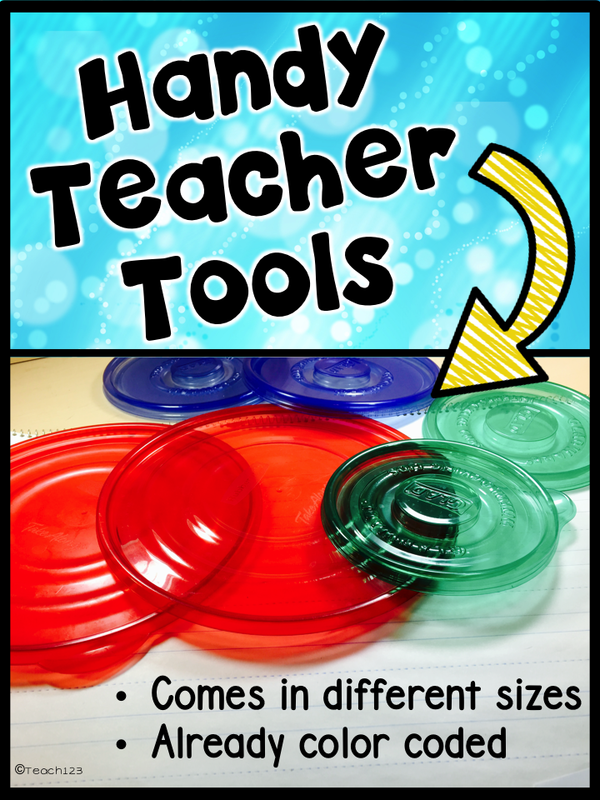 These lids make handy dandy teacher tools. When I make large Venn diagrams for a class lesson or my small group, I was always hunting for a large round object to use as a tracer. Then one day the clouds parted when my eyes landed on one of my lids because it seems like there is always one of these containers sitting around, right? They are just so useful! I love how the lids come in different colors and sizes. 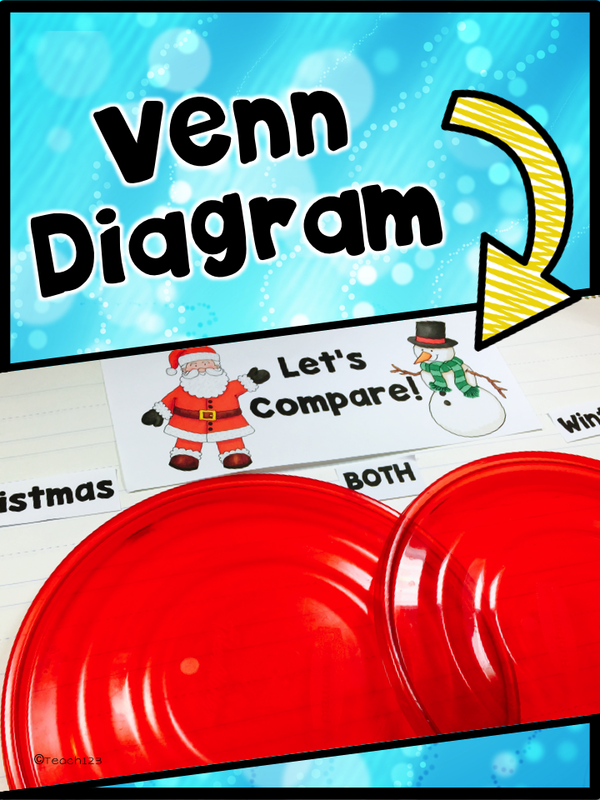 If you want your students to make a Venn diagram with a partner or small group, you can give them a smaller lid and large sheet of construction paper. It doesn’t matter if the marker gets on the lid because it wipes right off. Would you like to try it? I have a freebie that would be perfect for this time of the year. 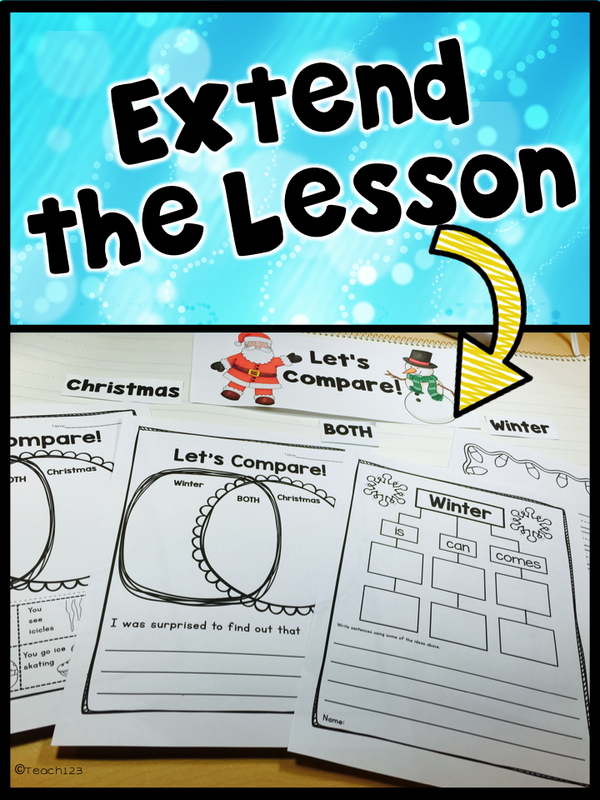 Students compare Christmas and winter. There are other assignments included with this file. Plus, there is a Smartboard file if you’d like to add a techy touch to your lesson. 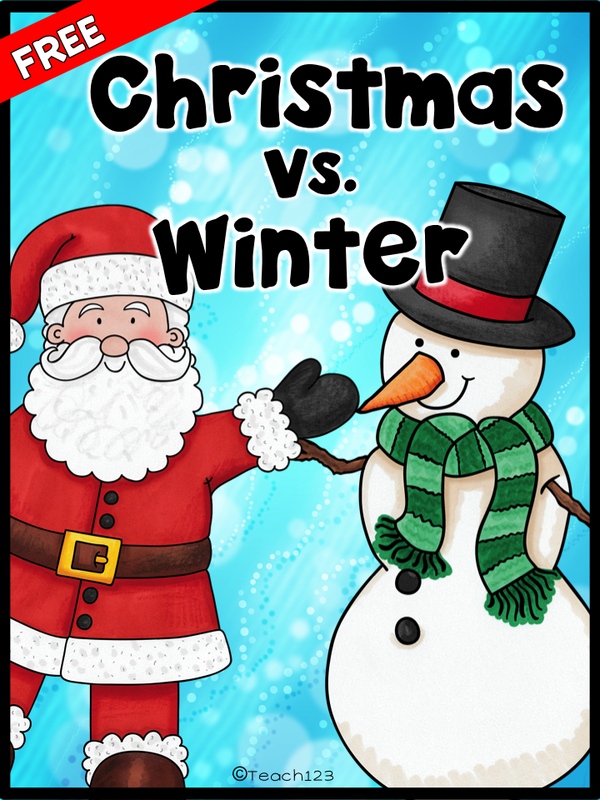 Click for FREE Christmas vs. Winter download. Don’t forget to leave feedback. 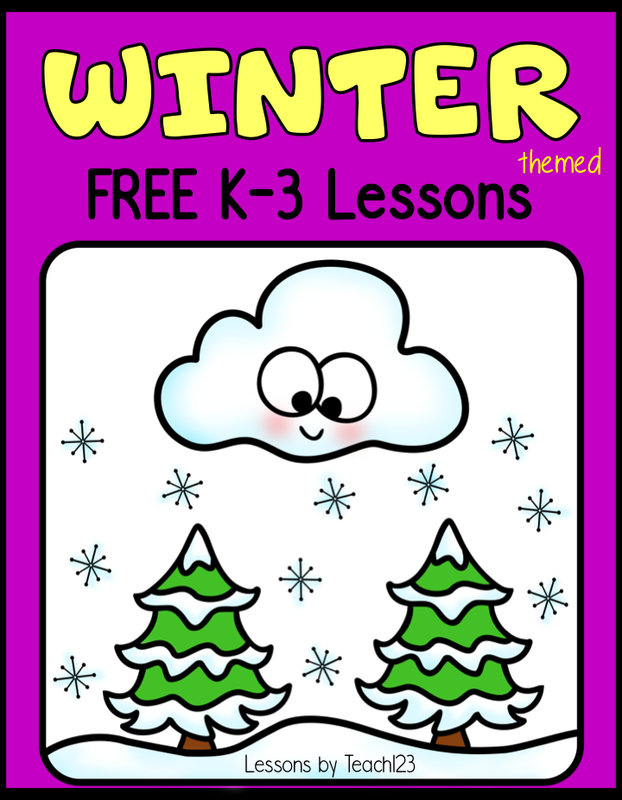 Click for FREE winter themed lessons. 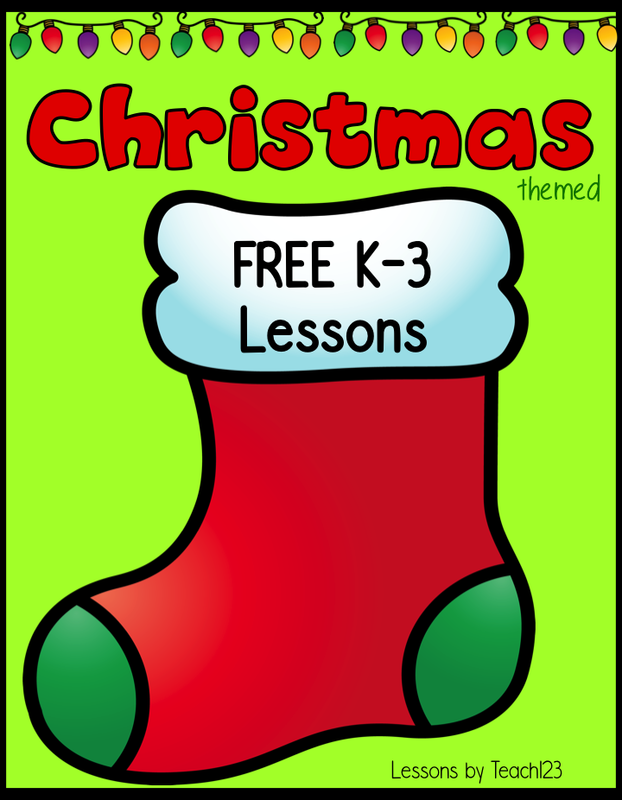 Click for FREE Christmas themed lessons.